Saturday night my man and I wanted to go for a walk. We decided to forgo an urban hike and went on a “mini-vacation” to fabulous downtown Naperville and strolled along the Riverwalk. Map of Naperville Riverwalk and park system. Image by J. Porys. With the recent rain, the river itself had flooded. The walking path down along the river was covered in high water. 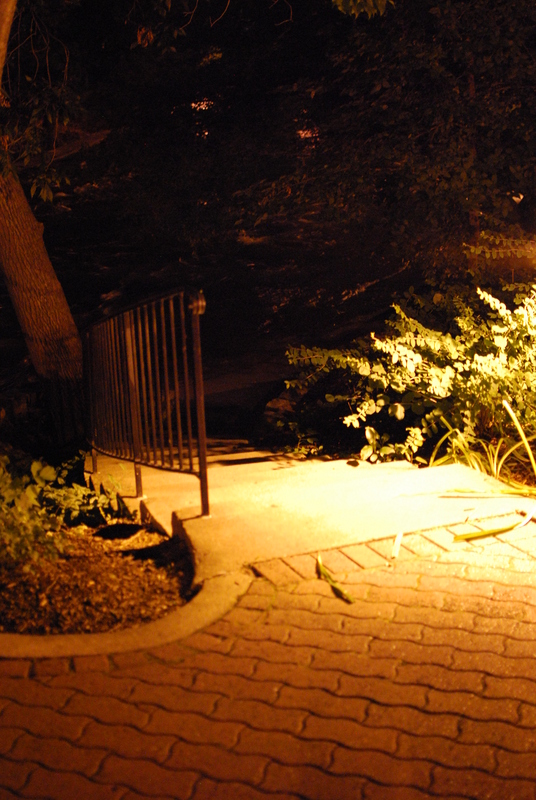 Naperville Riverwalk at night in high waters. Image by J. Porys. No matter, we walked along the upper portion of the Riverwalk and enjoyed the cool-ish breezes from the river and the trees and relative safety of the ‘burbs. It was peaceful, fairly uncrowded and beautiful even in the dark of the night. 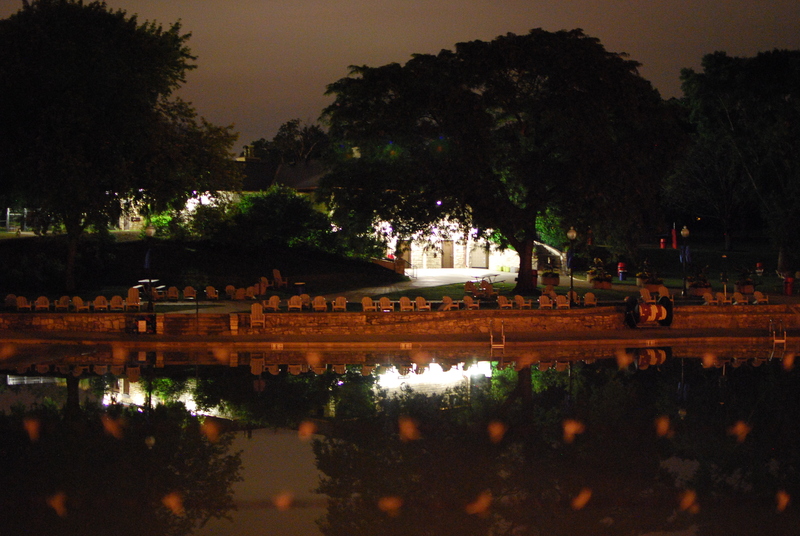 Naperville Riverwalk at night, 7-23-11. Image by J. Porys. For a link to info about the Riverwalk, including its history (built in 1981) and directions on how to get there, click here. For an artistic rendering virtual tour of the Riverwalk, click here. Now, for those that live in Naperville, you may think, Sue, how can you live in Chicago and not know how wonderful our city is? As a long time city dweller, I admit my lack of suburban experience is evident. In venturing out of the city to explore new parks and forest preserves, I’ve come to appreciate what the areas surrounding the city of Chicago have to offer: Peace and quiet, lots more space and open areas, lovely parks and a nice change of pace from the hustle bustle of city life. And shock of all shocks to us big city dwellers, Naperville has clean, safe, parking garages that offer FREE parking in the downtown district. 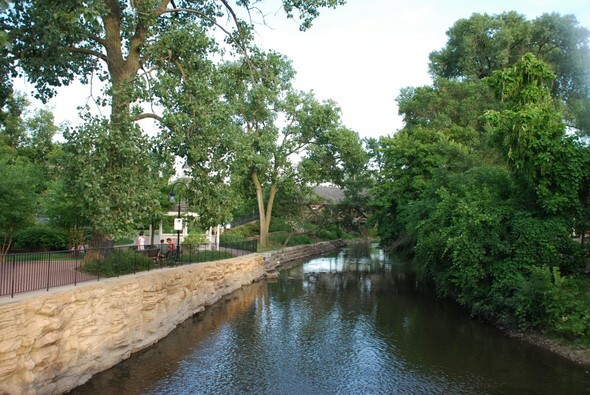 And Naperville has another big gem to explore in the daytime: Centennial Beach. But that’s the subject of yet another blog post! 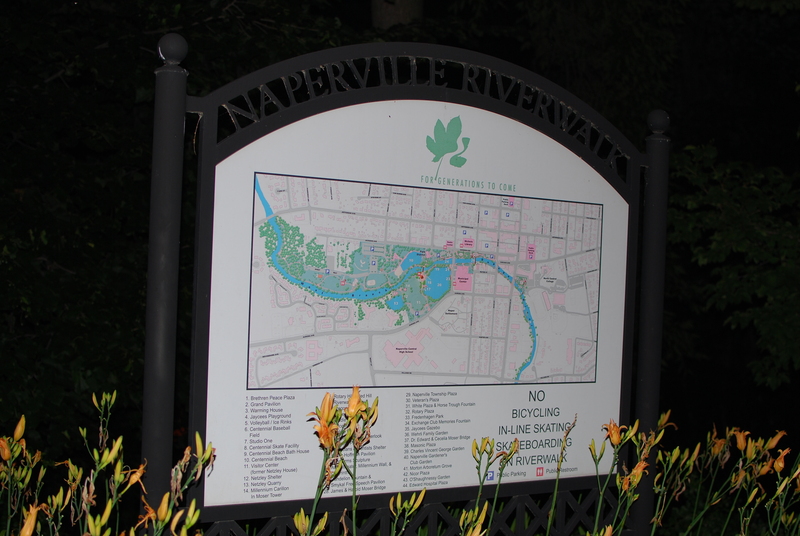 More on Naperville’s Riverwalk here from the Naperville blog.